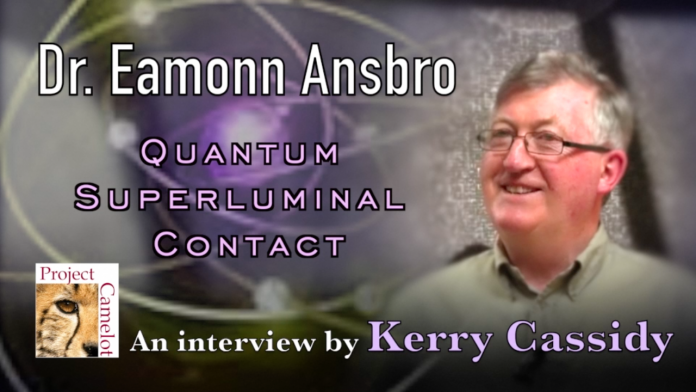 I interview Dr. Eamonn Ansbro at the Ireland Awakens conference in Dublin about a new technology he is using to contact off-world civilizations “quantum mechanics”. Dr. Eamonn Ansbro has a Masters degree in Astronomy from University of Western Sydney, Australia, and an MPhil and PhD (ABD) degree in Astronomy from the Planetary Space Science Research Institute at Open University (UK). He is director of Kingsland Observatory, one of 5 Observatory research centres in astronomy in Ireland. His main involvement for some years has been in Solar System studies and Instrumentation. In recent years he has been involved in SETI. He founded SETI Kingsland which has been pioneering a fundamental new approach within SETI. This new SETI approach has resulted in breakthrough technology for applying it to communications with extraterrestrial civilizations.